Every Easter's Sunday people of Shukhuti gather at the old shoemaker's home to celebrate Easter, alcohol and food are being shared meanwhile some men make a 16kg ball with sand, wine and leather. Shukhuti, Georgia, April 2014. Saba, town's orthodox priest and the bodyguards of internal affairs minister of Georgia are holding the ball before the game starts. The small town and its game are well known in Georgia, attracting many visitors and even high profile Georgia politicians. 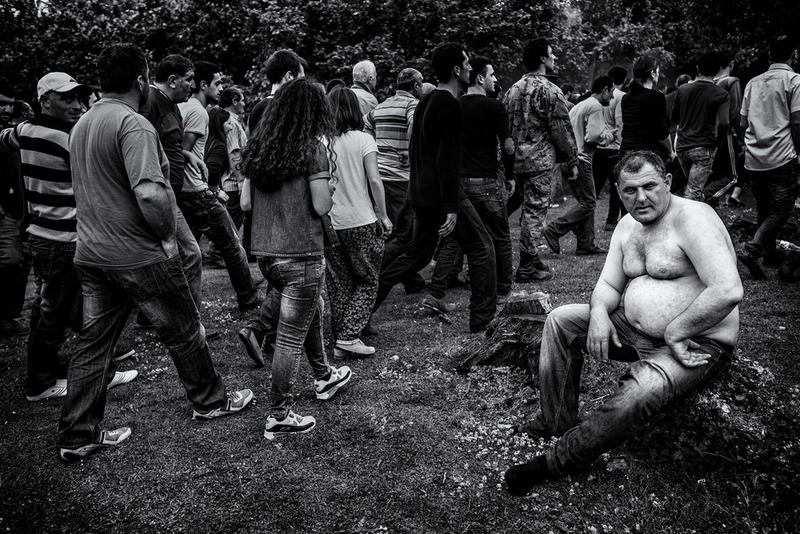 Shukhuti, Georgia, April 2014. 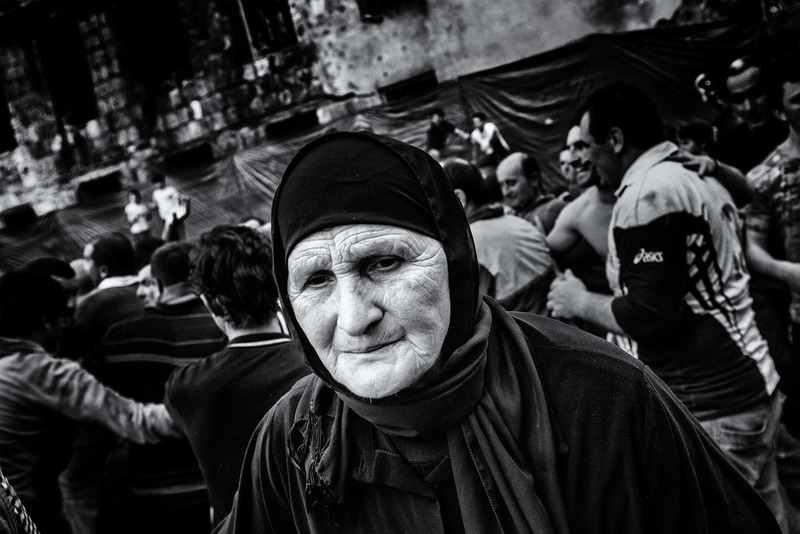 Georgia was one of the first cultures to embrace Cristianism, religion here involves any aspect of life. 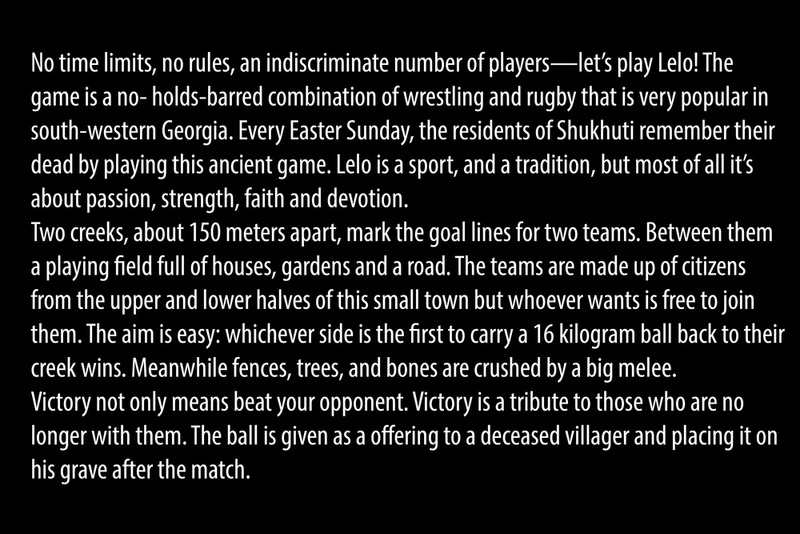 The Lelo Burti game is a mix of faith, tradition and sport. 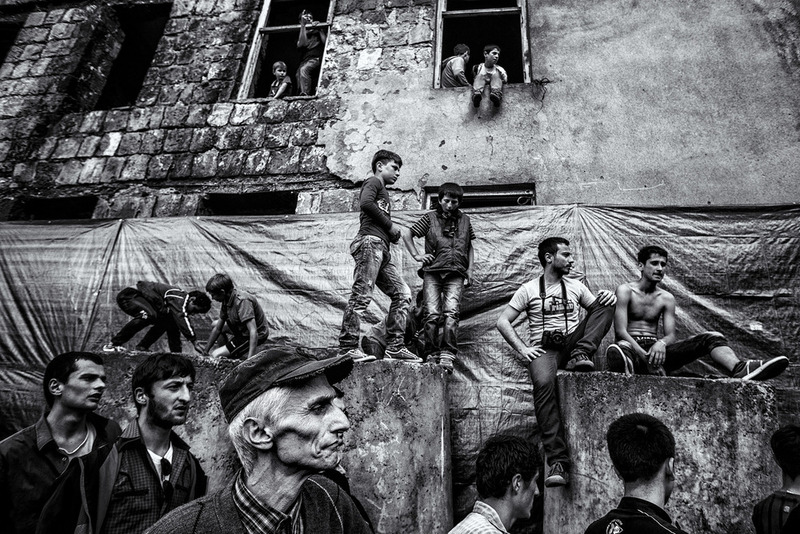 Shukhuti, Georgia, April 2014. People are looking forward to the game the whole year. As the ball is made only few hours before, players doesn't have the chance to practice but few minutes before game starts. Happiness and fear can being seen in players faces. Shukhuti, Georgia, April 2014. Usually the ball is not seen during the whole game as a melee is always on top of it. Despite its 16 kilo weight, men carried as it was a regular rugby ball. People falling, pushing, shouting. The brutality is part of the no rules game. Shukhuti, Georgia, April 2014. Even the violence that takes place during the game, the injures doesn't go further than bruises or broken arms or legs. There has been never anyone serious injured for playing Lelo. Shukhuti, Georgia, April 2014. Despite being a mainly men tradition, women are not forbidden to participate in Lelo Burti. They do tend to act more as supporters or helping with injured men than being inside the big melee. Shukhuti, Georgia, April 2014. The most important aspect of the Lelo Burti game is to participate. Seen as a way to celebrate Easter, this game and its brutality are seen as a way to separate men and children. Shukhuti, Georgia, April 2014. Only 15 minutes after the start the first injured people are carried away of the big melee. Usually they recover after few minutes and go back to play. Shukhuti, Georgia, April 2014. This ancient tradition is about playing but it attracts thousands of people that come just to watch. Tv stations and media from all over the region also come here as it marks probably the biggest kind of celebration during Easter's Sunday in Georgia. Shukhuti, Georgia, April 2014. Apart from its neighbours, a massive number of players are coming to Shukhuti from all over the country to play. Creating a huge melee, as in rugby, that can be over hundreds of people. Shukhuti, Georgia, April 2014. Without halves parts or pauses, the no time rule game doesn't stop until one of the parts of the town wins. Shukhuti, Georgia, April 2014. In 2014, Kvemo, upper side of the town team took the credit and won. The winning team pays respect to their recently deceased ones leaving the winning ball next to a tomb of their choice. Shukhuti, Georgia, April 2014. No matter who won, at the end of the game whole town gather together. Just few minutes game finished people are thinking about next year's game. Shukhuti, Georgia, April 2014. Past years winning balls can still be seen on Shukhuti's graveyard. 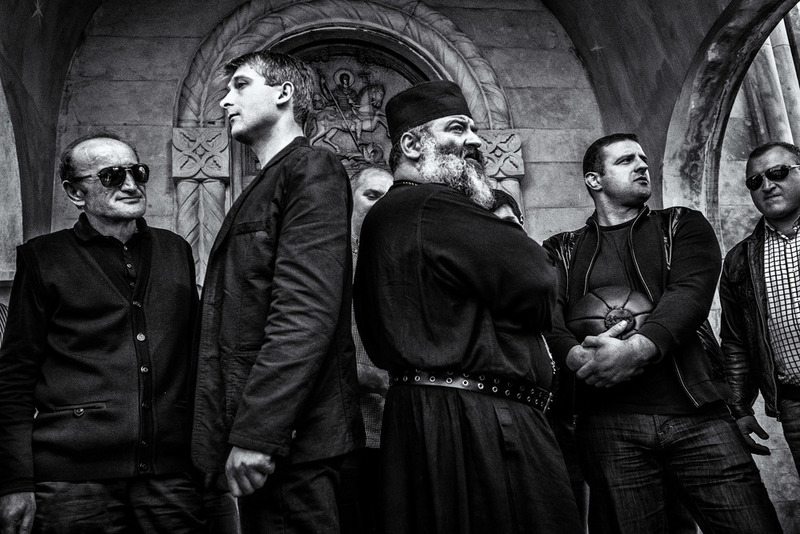 Violence and religion goes together in the Lelo game. 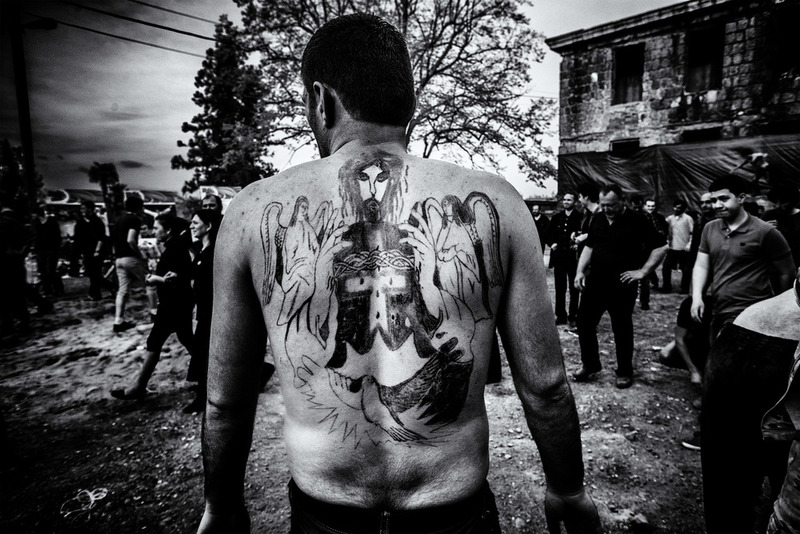 The strong religious devotion in Georgia just grows during easter week, being the Lelo game the highest peak for this small town. Shukhuti, Georgia, April 2014.